Counterintuitively, McGonigal states "Gamers don't sit around..." and in the game world, she is right. While gamers might be physically sitting around, in their game's world they are usually running around a lot: getting quests, vanquishing enemies and leveling up. She goes on to suggest that we use this active nature of gaming to help solve big, complex world problems. Waal did an amazing study (that I love talking about) that showed that a sense of "fairness" is innate in a lot animals and is not just a societal contract (though the boundaries of fairness can be heavily shaped by a society). Professor Ian Ayres gives some good suggestions about creating good incentives. I had a recent realization: I take as many pictures in an average year as my grandparents did in their entire lifetime and as my parents did in the first 30 years of marriage. Number of steps to send distribute a 'regretful' picture Six: Find camera, remember to bring camera, pull out camera, take picture, develop the roll, mail picture to friends. Five: Remember to bring camera, pull out camera, take picture, develop the roll, mail picture to friends. Three: Pull out phone, snap picture, post to Facebook. Comments on 'great' shots "Wow" "Nice picture" "Photoshopped"
In many ways the digital revolution of the camera has done a lot to make picture taking more accessible and less expensive but it has also robbed us of the 'magic' of those special moments we are seeking to preserve. It is that very word, "preserve", that we find the core of the problem. We have shifted from 'capturing a moment' to trying 'to preserve that moment so it lasts forever'. A shift from creating something to help us remember to trying to create something that can be relived on demand. The shift from capture to preservation has been further driven by the extensive availability of video capture technology (video cameras built into our phones and digital cameras). It comes through in the way that we rabidly try to capture as many moments as possible in video but so rarely look back at the videos we have taken. It seems that such clips are only viewed in moments of great grieve or after severe tragedy. Perhaps that is the best place for them. After all, if you have the real person, place or thing available to you, why would you want to settle with watching old videos of them. It only takes a couple of times of trying to capture a breathtaking sunset, and being disappointed by the results, to realize that most of life is better enjoyed the first time. Instead of trying to preserve each moment, try to soak in the moment and only snap a picture or two. Smith presents a humorous take on why most of us fail to achieve our dreams. Partly an review of the history various theories physics and quantum theories and partly an exploration of the implication of those same theories. Interesting tidbit: The solar winds leave the sun at approximately 100,000 mph. If there was air in surrounding it, there would be a perpetual sonic boom. 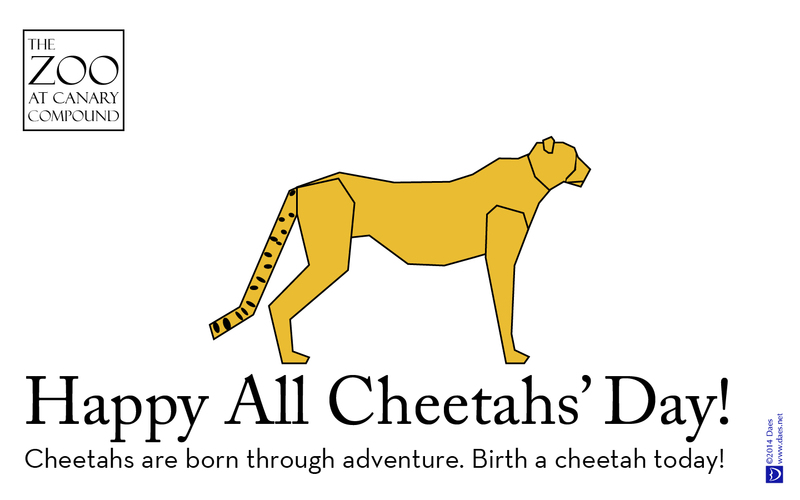 Happy All Cheetahs' Day: Cheetahs are born through adventure. Birth a cheetah today! McCarthy aggregates several studies done on marriage. She presents many very interesting facts. For example, the chances of a given couple getting a divorce increase by 75% if a close friend get a divorce.